Unveiled at the Global Gaming Expo 2012 in Las Vegas, Willy Wonka slot (or Willy Wonka & The Chocolate Factory slot) is themed on the 1971 movie of the same name and features Gene Wilder and Jack Albertson. Running on Williams Interactive’s Sensory Immersion 2.0 platform, the entertaining video slot is drawing huge crowds on the casino floors across Las Vegas and Atlantic City. Willy Wonka & The Chocolate Factory slot is only available in brick and mortar casinos for the time being. It comes with the Sensory Immersion 2.0 platform and motion chair technology, getting players completely engrossed in the interesting storyline. We hope that soon it will be added to WMS online slots portfolio, which features such popular titles as The Wizard of Oz, Monopoly and Star Trek slots. The game is played at 5 reels and 40 paylines, but you can stake up to 400 credits per single spin using bet multiplier. It can accommodate for all kinds of casino enthusiasts thanks to the wide betting range that starts from as little as $0.01, so simply choose the desired coin value and start spinning those reels. Nine!, nine attractive bonus features are one of the main reasons why the WMS product has become so popular among casino gamers. The first of these adds Oompa Loompa Wild symbols to the game screen, while also expanding the reels onto the top screen to further improve your winning chances. In the Chocolate River Boat, you can find the Willy Wonka golden ticket hidden in the Wonka Bar and secure a $5,000 jackpot, with Wonkavator feature set to determine which bonus game you will play. You need three Elevator icons anywhere on the screen to unlock the bonus rounds, which can also see you pick candy and hands to reveal cash prizes, secure free spins, cash prizes, multipliers and more. Willy Wonka & The Chocolate Factory takes the center stage in many a land-based casino and it is easy to understand why. Impressive visuals, engaging storyline and motion chair technology will keep you entertain for hours. 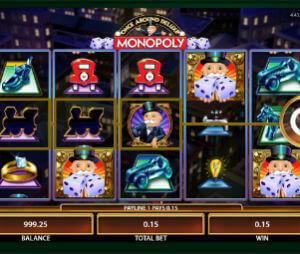 Nine attractive bonus games are enough to make your head spin and at the same time award some substantial wins.